Fleet of Foot - Podiatry and Chiropody services in Upminster, Hornchurch and surrounding areas by an HCPC registered Podiatrist / Chiropodist. A Podiatrist has completed a minimum of 3-4 years of full time training and over a thousand hours of NHS clinical practice before qualification, during this time they are extensively trained and regularly examined for safe sterile technique during treatment. Podiatrists and Chiropodists are the only foot health professionals with training deemed adequate to be regulated by the Health Care Professions Council. In line with regulation, instruments utilised by Fleet of Foot during treatment, undergo a full process of decontamination which is defined as “the combination of processes which includes cleaning, disinfection and sterilization to render a reusable item safe for further use.” (Society of Chiropodists and Podiatrists, 2009). These standards are laid out by regulatory body the Health Care Professions Council and our professional body the Society of Chiropodists and Podiatrists as a safe level of decontamination required to protect the public. Each patient is treated using a separate set of these sealed sterilized instruments (opened in front of you). 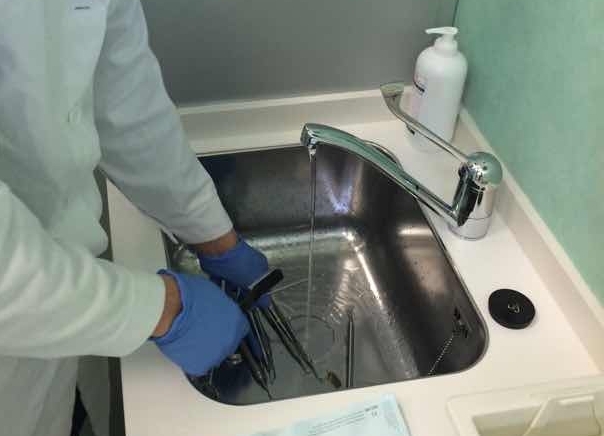 After each day of practice, every tool that can be sterilized follows the following procedure and is packed into an individual sterile pouch. Disposable blades and instruments go directly into a special waste container and are collected to be destroyed. All reusable instruments are individually hand cleaned and scrubbed. 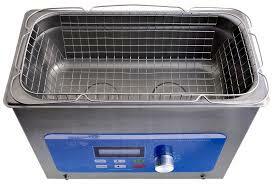 Following this they are processed in our ultrasonic cleaning bath. Once ultrasonically cleaned, instrument sets are packaged in specialist autoclaveable pouches. The pouched instruments are then placed in our Eschmann SES Little Sister 5 Vacuum autoclave and sterilised at high pressure at temperature between 134 and 137 degrees centigrade, temperatures lower than this range utilised by some lesser autoclave machines are no longer deemed adquate for podiatric practice. 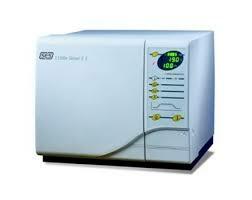 A vacuum autoclave is important as it enables you to confidently sterilize hollow instruments and wrapped items. While this process can be completed in the treatment room, it is recommended that a separate room is used to safeguard patients and clinicians. At Fleet of Foot we use the room adjacent to the clinical room for decontamination. Our autoclave meets the Pressure Systems Safety Regulations (2000) and is examined annually by a competent person to ensure that the machine continues to meet these requirements and the results of these tests are available to any patient upon request. The autoclave we use has a printer attached that provides a breakdown of the sterilising cycle showing the temperature during the three-minute programme. This is checked by the podiatrist upon completion of the cycle and the printout stored in a separate folder and countersigned for our records. This ensures that the process we use is transparent and can be traced. Again, patients can freely examine these records upon request. Each pack is then marked with the date of sterilisation and initialled by the clinician who has sterilised the instruments. If the instruments are not used within a set period of time then they undergo the decontamination process again. So there’s a lot that goes into making sure that the instruments we use are sterile and free from infection, but we’re happy that this is the best process for us and represents the greatest safety for our patients. References: Society of Chiropodists and Podiatrists (2009) Standards for the decontamination of reusable podiatry instruments in primary care.